Having a credit card provides you with a financial cushion in an emergency and, provided you use it responsibly, can help you build credit. If your credit card provider approves your application, it will send your new card in the mail. You must call the number provided and activate the card before you can use it to make purchases. Unfortunately, if you change your mind about the account, terminating it isn't as easy as simply throwing away the unactivated credit card. In order to close a credit card account, you must contact the credit card company and request that it formally close your account. You can make the request over the phone, but making your request in writing provides you with a paper trail proving that you declined the account. Once the company receives your request, it will close the account and you can throw away the credit card. Keep in mind that some credit card companies charge an annual fee. If your credit card provider charged an annual fee to your card, pay the fee before you close the account. 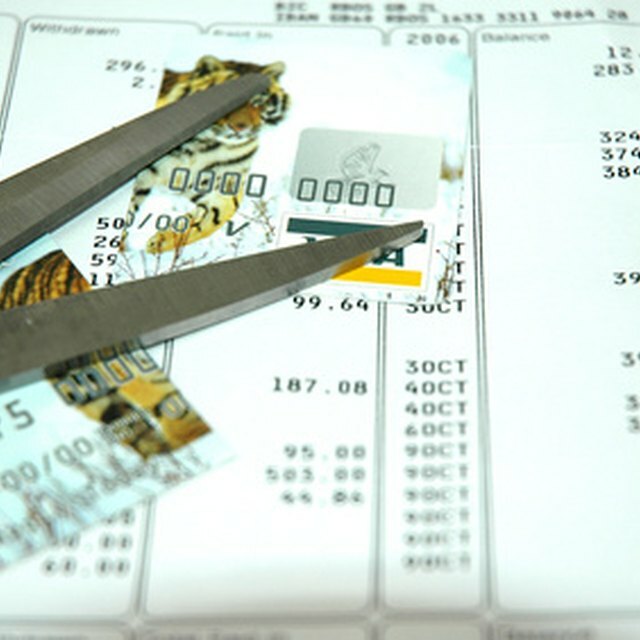 Failing to do so could hurt your credit rating. Throwing away an unactivated credit card without destroying it first leaves you prey to identity thieves. Digging through the garbage is one method identity thieves use to uncover their victims' personal information. If you simply toss out your unactivated card, nothing stops an identity thief from finding it, activating it and using it. It doesn't take an identity thief long to destroy your credit and leave your financial security in shambles. Thus, it's crucial that you remove the activation sticker and cut up the card before you throw it away. Receiving a credit card in the mail that you know you didn't apply for could indicate that your identity has been stolen. Ensure your identity is intact by ordering your free credit report from each credit bureau. The Fair Credit Reporting Act gives you the ability to order free credit reports once each year. If any of your credit reports contain accounts you did not open or debts you don't recognize, you may be a victim of identity theft. Should identity theft occur, report the incident to the police and the credit bureaus to initiate an investigation and recover your good name. Before you roll your eyes and cut up a credit card you didn't request, read the paperwork that comes with it. If you have a credit card that is nearing its expiration date, your credit card provider will generally send you a replacement card in the mail. The replacement card may have a new design – causing you not to recognize it for what it is. The paperwork that accompanies the card will let you know whether the card is connected to a new account or is merely a replacement card for an older account.